http://www.sazanka.nl. In Japan this kind of dining is very popular, in part because the chef prepares the most delicious dishes right before guests’ eyes. Various kinds of fish and meat, including the very exclusive Wagyu beef, are prepared à la minute with ’’Japanese precision’. The Teppanyaki Restaurant Sazanka’s interior is in a contemporary Japanese style, the design of which is based on stone, wood, water and fire. 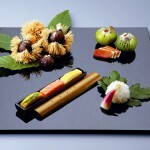 These elements reflect the prominent role nature plays in Japanese daily life. 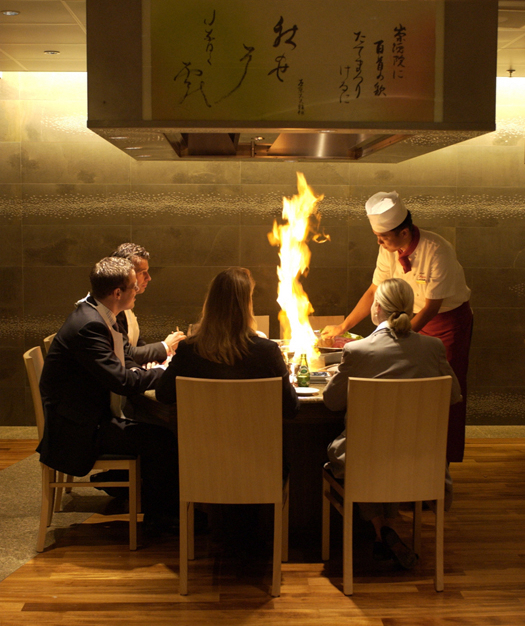 The eleven teppanyaki hot plates will seat seven to ten guests each and are perfect for both business and festive occasions. 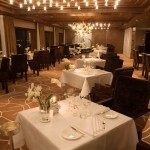 It is also possible to reserve a private room with two hot plates, offering room to a maximum of 18 guests. Private lunches for at least ten guests are available on request.